Make Snack Time Exciting and Healthy Again With These Three Snack Ideas! Or maybe your children are constantly complaining about having the same ole' snack every day and you are tired of the whining and complaining. Well, then make sure to read this post because I have THREE great snack ideas for this school year that are not only super healthy and organic but really delicious and sure to please even the pickiest kids! Plus, they are something new for your children to try and gives them a break from the same old, same old snacks out there! My favorite snack idea for the school year is jerky from Country Archer Jerky Co. They are creator of gourmet jerky made with only high-quality and premium, clean ingredients. Unlike other jerkies on the market, this brand has continued to pay homage to an age-old recipe for over 40 years, keeping a close eye on every step in the manufacturing process to create tender, juicy grass-fed beef and turkey jerky. The brands flavor forward varieties include Siracha Beef, Honey Dijon and Mango Habanero. My children beg for jerky and I have to admit I prefer it as my snack often as well! It is easy to eat on the go, in the car and it is mess-free! That alone makes it a great snack idea! Then you add in the fact that their jerky is made from grass-fed beef and many organic ingredients MINUS any nitrates or preservatives - it makes for a very happy body as well! We LOVE the Original and the Teriyaki flavors and our only regret is that there isn't more in each bag to devour! It is flavorful, tender and delicious and this is a snack that is sure to please every palate and tummy! Two more unique snack ideas come from Annie Chun's! Savory Roasted Korean Seaweed with Sesame Oil: Here's your chance to discover a delicious new snack that's bursting with flavor and chock-full of vitamins and minerals to keep you going all day long. 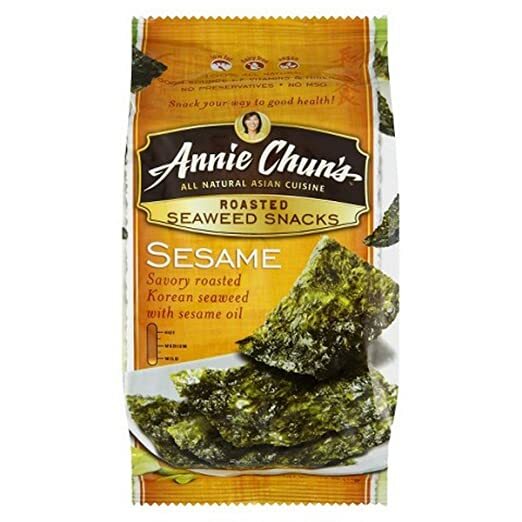 These Korean seaweed snacks are roasted to perfection and then seasoned with a dash of salt, sesame seed oil, and wasabi powder creating a savory taste sensation that promises to excite your palate. My children LOVE to eat these seaweed snacks and they don't take up much room in the lunch box either! It is different and fun! Organic Potstickers: According to Chinese legend, potstickers were created by accident when the chef of a Chinese emperor accidentally left a pot of dumplings over the stove for too long, crisping the bottoms of the dumplings. 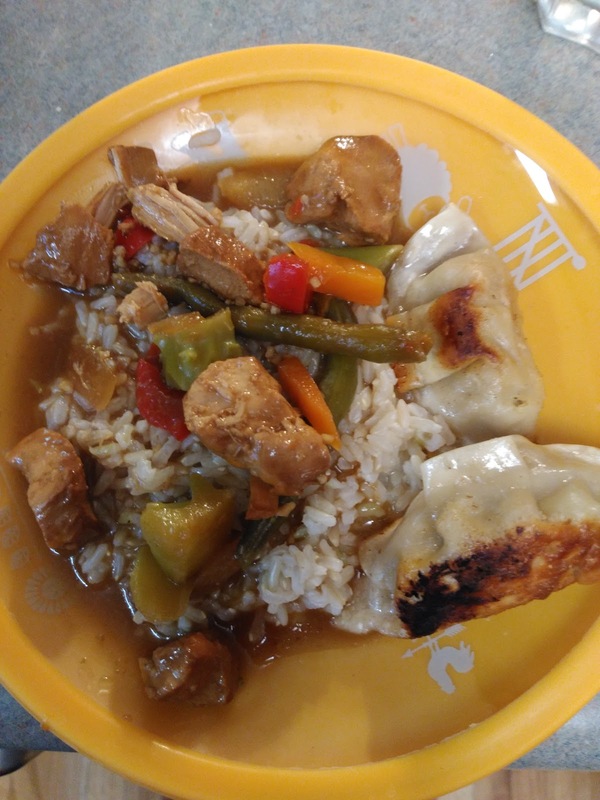 Fortunately, the crispy dumplings were a hit among members of the Chinese Imperial Court and so a "new recipe" was born. 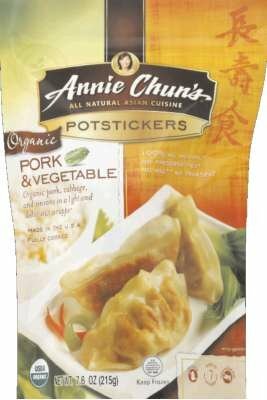 Annie Chuns Chicken and Vegetable Potstickers are great as an appetizer, snack, or as part of a larger meal. Theyre excellent just as they are or with a side of soy-vinegar dipping sauce. We enjoyed these as snacks and as part of dinner! 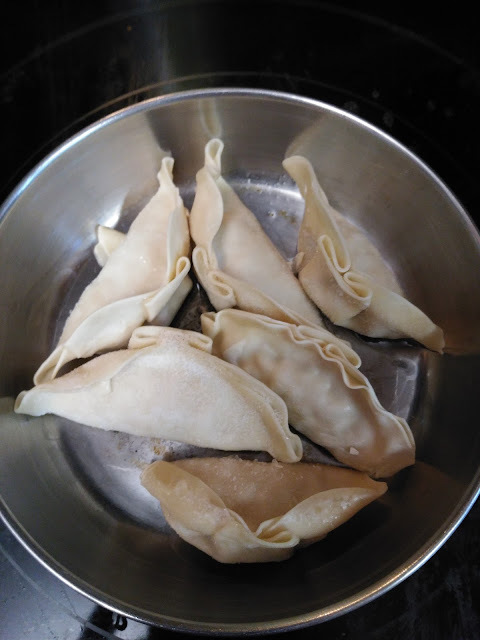 It was my children's first time trying Potstickers and they were a big hit! They wanted more, more and more! We simple fried them in a pan with a little oil and they were crispy and delicious! They make a great after school snack idea or go great with any meal! So, don't make snack time boring anymore! Try these products from Annie Chun's and Country Archer Jerky Co and make snack time exciting and healthy again!